The Korean War – can you win a ceasefire? “That war was no tie,” Obama told veterans and their families. An Asian tiger, South Korea is also a thriving democracy that stands at the forefront of 21st century technological pioneering; that is what victory looks like on the other side of Stalin’s wall. But the Kim dynasty got what it wanted, too – a decadent, personal theme park filled with its own living toys to sing and be poked like funny monkeys. What’s a united peninsular against that? 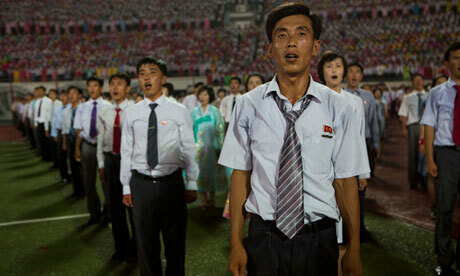 Scraggy, undernourished “citizens” of the DPRK sing the glory of Kim Il-Sung, the man whose presidency not even death can bring to an end. If anything can be described as symbolic of the war’s ceasefire, it is the people of North Korea – existing invisible between two very different worlds, they have been, for decades, the ignorant victims of the most clichéd oppression one might ever imagine. Moses vs the Pharaoh? I don’t think so. Unsurprisingly, neither standpoint is unfounded. On the one hand, we have evidence of unarmed civilians shot by passing Egyptian security forces. Then again, we have pro-Morsi supporters pouring petrol over the entrance to Cairo International airport. Both sides are large, and come both peacefully and with their violent edges. General Sisi’s call for populist rallies to legitimise his coup would, a few days later, stoke further rallies in support of the deposed president. In any deeply divided society, populism is its greasiest but most dangerous political lubricant. Why, after all, should you bother acting democratically – or even constitutionally – if you can deafen the streets with those chanting your name? 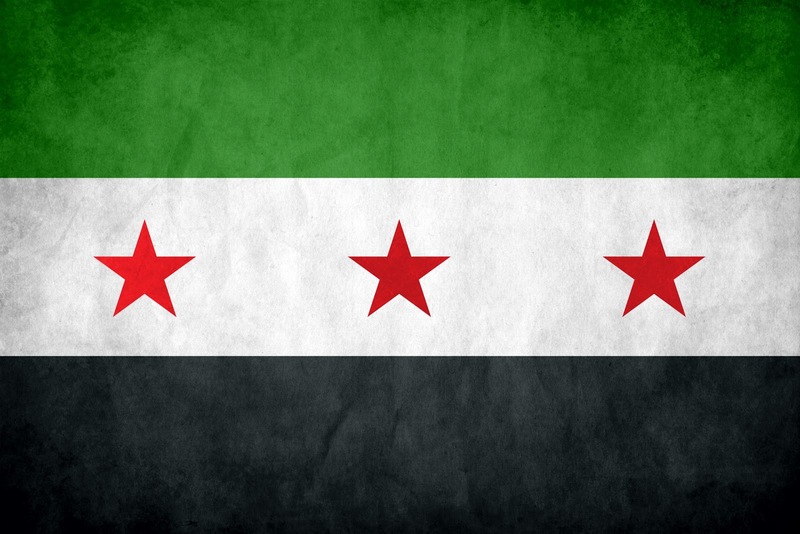 The revolution continues; though, it might be said, in two ominously different directions, under two undemocratic banners – each trying desperately to show the least care for the other side. The big mistake that the president made was not to carry the revolutionary spirit into governmental reforms…We literally allowed this coup to happen because he wasn’t as forceful as he should have been…The president made a decision early on to [rule] by the book. Many objected to his decisions, even inside the Brotherhood. He decided to respect the corrupt heritage that was left for him, and that includes a corrupt constitutional court, a corrupt judiciary, and a corrupt set of regulations and laws that are literally designed to trap anyone in office. For “corrupt”, replace with “secular”. It leads to the same conclusion: that the dreamy air of Muslim Brotherhood HQ would have raced for a Turkish-style army coup in order to prevent them from doing the same. The free election of 2012 had already been subverted beyond recall by 3rd July when Sisi took the reigns. But that does not justify legally questionable methods to remove Morsi’s supporters from the streets, nor his unofficial, unknown detention (nor the raids – none of it). Last year’s narrow election would realise the undemocratic realities of a majority-ruled democracy for a polarised electorate; it might be hoped that the coming election will not result from the very same failures. Without a solid constitution – guaranteeing the place of the military, basic human rights and a secular framework in which a civil bureaucracy might operate – the realities of those Egyptians who demand a peaceful and economically stable nation will never be met. Unfortunately, whether this will emerge from a bloody dialectic between Mubarak ghouls and the vainglory of would-be theocrats only time can tell. Al-Mansour states, explicitly, that her objectives were never intended to be political, or even polemical. Although she is conscious of the inevitable stirring she will cause in her home country – once it finally reaches the TV sets, cinemas being illegal – her central image is the innocence of childhood, not its corruption; by its nature it contends with something universal to the memories of all other Saudi women. Why is this significant? The post-9/11 Saudi government – suddenly conscious, as if surprised, that Wahhabi Islam might encourage jihadism – has introduced some token reforms to its systems to appease the White House, which though churned turgid by clerical conservatism might anticipate “giant steps” yet to come. Now, one wouldn’t expect subtle developments in how Saudi women view themselves to be recorded – not if, as she implies herself, women feel as invisible as they are. But here we have a writer – of a comparatively “liberal” background, admittedly – who sees no real importance to a film exploring instances in which humour stands independent from the primitive, totalitarian background that produces it. Does this point to something wider, something shifting? Al-Mansour’s first film depicted a criminal who wore a burka to escape the law, for example, very much in contrast to the likes of Persepolis in which a girl comes of age under the regressing forces of the Islamic Revolution. Tragedy and satirical detachment arise from pessimism, decline; but comic irony is the signal fire of reformism and the nuance of cultural consciousness. Politics is division. Get over it. Pamela Geller and Robert Spencer – critics of “Islamization”, as they call it, as well as founders of various anti-Islam foundations – were recently banned from entering the United Kingdom. It is the conviction of the Home Office that they are much worse than those who would overthrow the very constitution of this country. In its letter to the duo, they invoked the “Unacceptable Behaviour Policy” as justification for barring them from British territory – that is, actions of speech that might foster inter-communal division; despite the long-established tradition in which stability is almost always hostile to liberty. Consensus is democracy’s most vicious opponent – and it’s patronising and degrading for parliamentarians to be making the arguments of decent Muslims for them. “Freedom of speech” can’t ever be absolute, legally, because many existing laws can be broken through verbal and written communication: contempt of court, plagiarism, incitement to murder and breach of confidentiality to name a few. “Hate”, though, can only ever be a thought crime – the definition and origin of all totalitarianism governance. That Geller and Spencer are irritants incapable of separating “moderate” Muslims from their fascistic counterparts should have no bearing on whether or not they are allowed entrance into the UK. He clearly was one of Britain’s greatest ever writers; an extraordinary novelist and journalist, a fierce and clear voice warning against totalitarianism, and prophetic, in a way. But I get a bit annoyed when he gets quoted as an authority on how to write – most especially, when the “laws” from his essay “Politics and the English Language” get bandied about as THIS IS HOW YOU DO WRITING, GUYS. For the record: it’s not. I don’t claim to be any sort of authority. But even an idiot like me can see that his rules make no sense. Well, Orwell definitely wasn’t “all that” but he was a sizable portion. Enough, I think, for me to play the apologist. Never use a figure of speech which “you are used to seeing in print” is a bit weird. For example, you could make the case that “figure of speech” is a figure of speech, since the things it refers to are not literal figures, ie physical shapes or written symbols, but metaphorical ones. And you’ve definitely seen it in print lots and lots. And there’s nothing wrong with it. “Don’t resort to cliché” is what he means, but it’s so obvious it doesn’t need saying. Bit of a crafty point. Alluring casuistry, in any case. “Figure of speech” is not a cliche; it is a phrase in its own right. It’s a term which is both technical and standard English. It is a plea to originality, not just the trope to “avoid cliches” – John Rentoul gets it. Language Log nails the “Never use a long word” and the “Never use a foreign phrase” one neatly by pointing out that “when a shorter one will do” or “an everyday English equivalent” are entirely subjective terms. In the very same essay, they point out, Orwell talks of “scrupulous writers”. Could he have said “careful”, Language Log wonders: “Not quite the same meaning, of course. But would it have done?” Similarly, foreign and technical words have subtly different meanings to the English equivalents: there are no true synonyms. “Don’t show off by using needlessly fancy language”, again, is so obvious and unhelpful that it doesn’t need saying; it’s little better than saying “write well”. Oh, now. “Subjective”. One of the most important roles of the polemicist is to act as the medium between dry academia and people; it’s a theme of which Orwell is most embracing. Animal Farm warmly invites Stalinism into English circles; it’s how my 10 year-old self, ignorant of communism, managed some level of understanding of the Russian Revolution. That ‘s to say nothing of the layman’s venture to the imperial world in Burmese Days or the critique of capitalism via Comstock’s romance in Keep the Apidistra Flying. Perhaps it’s why many see him as a better journalist than novelist given how successfully he blurred the two professions. Three: “If it is possible to cut a word out, always cut it out” should, by its own rule, be “If it is possible to cut a word, cut it.” Or even “Cut words where possible.” Is that better? No, because it’s less memorable. It might be valid a statement but it neglects Orwell’s literary purpose that the “possible” considers. Even if it were better, wouldn’t that prove the point? “Never use the passive” is complete nonsense and Orwell uses it regularly himself because there is nothing wrong with it. Sure – but the active does usually add urgency, as many journalists would do well to remember. And it’s not as though he’s dismissing the passive, the implication being that the active is not always appropriate – as in rule 3, “possibility” does not have a doctrinaire definition. Many people don’t think about that; others do. As Chivers says, it’s “subjective” – and Orwell is fully aware of the difficulties of exercising rules on polemical grammar. Five we’ve dealt with; see two. Me too, I think. But I’ll add something further about jargon – because Chivers himself avoids it very well, especially given how much effort to which the government has gone to cloud the technical changes it’s making to the NHS. Jargon is a diagnosed symptom of intellectual constipation. 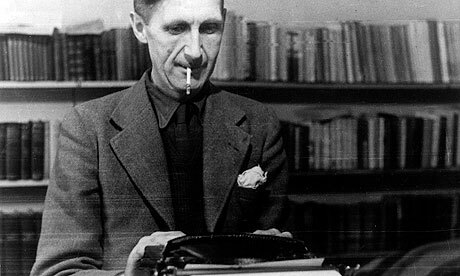 Six: So what you’re saying, Mr Orwell, is that applying rigid rules to writing is unhelpful and silly? At last we agree. The point behind Politics and the English Language was to explore how one may be used to transmit the other. Wordplay does not create meaning in and by itself. Better to write an important point poorly than a terrible one crisply. Some writing is good, and others is bad; and in so rich a language tepid generalisations for each are the best we can hope for. Of course, any rules can therefore inevitably be reduced to “largely empty” advice. I am, after all, partly playing devil’s advocate here because some of Chivers’ criticisms are very valid. I simply mean to show that pedantry and application do not necessarily obscure the importance of the points Orwell is making. Confused, puzzled, dazed? Watch this terribly exciting video instead. Sorry, Alan. We’ll let you off this one. The Enigma codebreaker Alan Turing is set to be posthumously pardoned, after the Government said it would not stand in the way of legislation in parliament that would quash his conviction for being a homosexual. Ministers had previously argued that they would not be able to go any further than the apology given by Gordon Brown in 2009, because “gross indecency”, which Turing was found guilty of in 1952, was at the time a criminal offence. But yesterday Government Whip Lord Ahmad of Wimbledon said the coalition would not stand in the way of a Bill brought by Liberal Democrat peer Lord Sharkey, which offers Turing a full posthumous parliamentary pardon. “It is not too late for the Government to pardon Alan Turing. It is not too late for the Government to grant a disregard for all those gay men convicted under the dreadful (legislation). I hope the Government is thinking very hard about doing both of those things. Those are two very different matters to be proposed. Ignoring, firstly, the inconsistencies of pardoning the victims of only one law – when Blair himself offered only a puzzled apology on the eve of the 200th anniversary of the abolition of the slave trade – we reach even deeper and inevitably darker territory of pardoning one named victim. Down there be monsters. Firstly, the pardon – if unintentionally – implies that human rights are to be earned; that had Turing not shortened the war, his sentence would have been definitively deserved. Second, compare with the 1995 South African Truth and Reconciliation Commission. Perpetrators of apartheid were offered redemption if they accepted fully the principles upon which the new state was founded. But in the case of Turing, a moral quandary jumps from the past only to be ruled upon with a halfhearted sigh. To observers, it is lazy; to victims, and to their descendants, it is selfishly shallow. Don’t discriminate between the crimes for which you apologise. Better either to accept you aren’t to blame – or, to repair as many of those damages that history will allow.